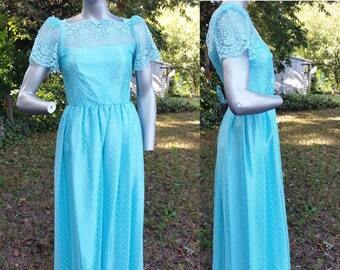 Absolutely jaw dropping 80s bridesmaid dress in emerald green. Definitely a statement dress! 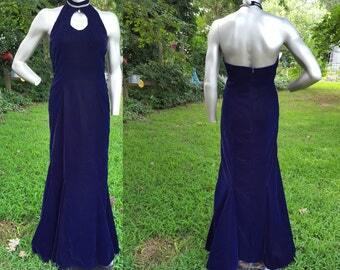 Vintage prom dress has a one shoulder ruched bodice. 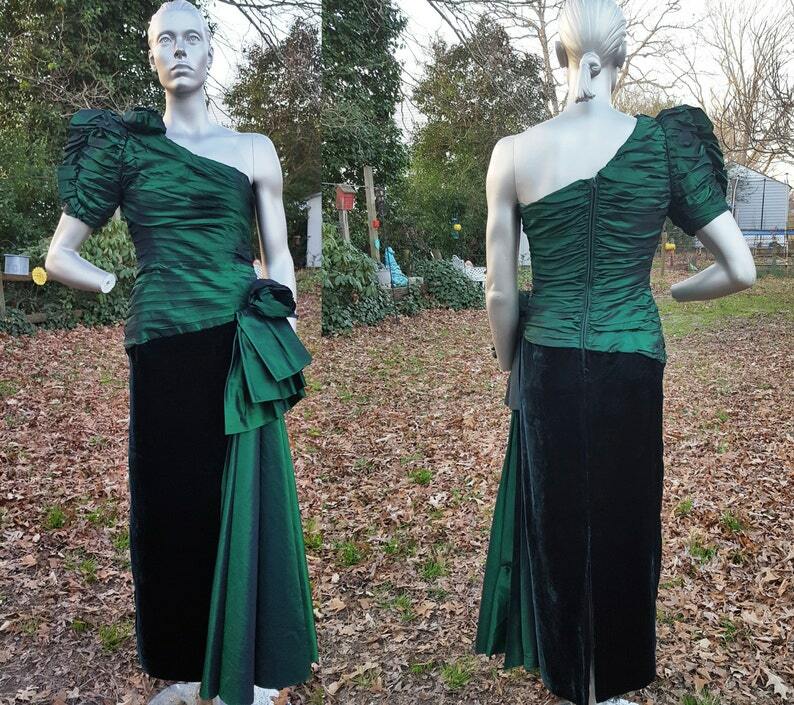 Asymmetrical bodice has a bow at one hip which tops the pleated swatch of satin that cascades down the velvet skirt. This one shoulder dress also has a flower at the shoulder and is by Frankie Welch Alexandria VA. 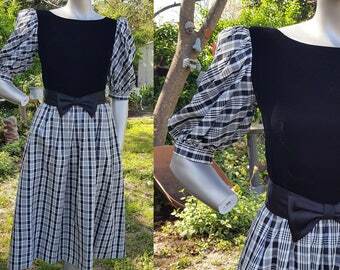 The maker tag is the only tag present on this statement dress.